We invite you to this countryside home nestled off Elk Lk Rd on a three-acre private setting. 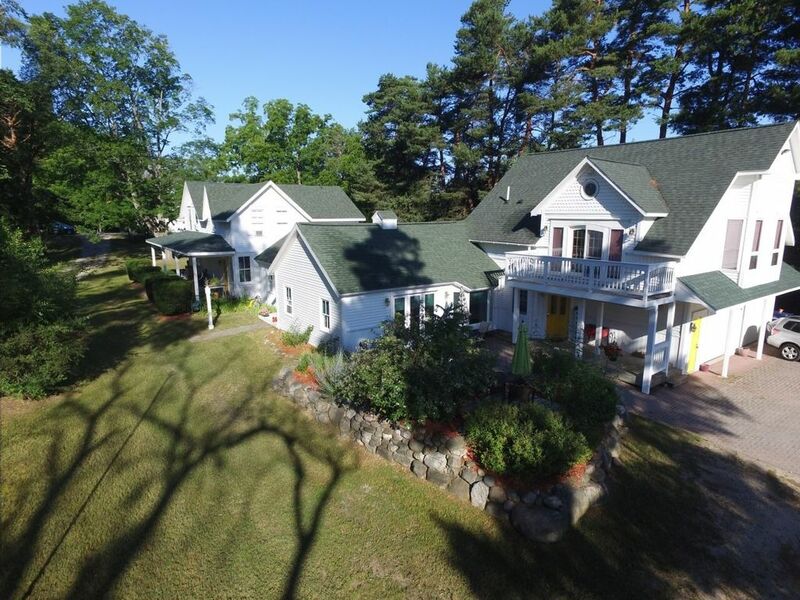 This 1905 historic farmhouse is located 1.4 miles out of the village of Elk Rapids, 10 minutes to the Great Lakes Equestrian Festival, and 20 minutes from Traverse City. This home is the perfect getaway if you enjoy peace and quiet, yet close proximity to some of Northern Michigan’s finest restaurants, shops, beaches and lakes. Rent a boat only a mile away and enjoy a cruise to the world's third most beautiful lake in the world! Don't forget to stop at the Torch lake sand bar! Outside of this home, you can enjoy a grilled dinner on a private patio surrounded by a beautiful rock garden, a blazing bonfire and a morning coffee swinging on the porch swing. Seat 10 at our kitchen island and bar area.